Ddimp.com is leading provider of data recovery software. Data recovery software recovers deleted digital photos, pictures, audios, videos, office files, folders and other crucial data from different type of data storage devices. DDR Professional - Data Recovery software help you to recover deleted files from different type of data storage media. File retrieval program retrieves lost digital photos, pictures, important official documents files, folders and other crucial data in few easy steps. FAT Data Recovery software retrieves deleted data from hard disk drive partitioned on FAT file system. FAT file retrieval program restores deleted pictures, power point slide, photos, images, folders, important documents and other valuable data without any data damage. NTFS Data Recovery software restores lost digital photos, audios, videos, office files, folders and other crucial data from NTFS partitioned hard drive. 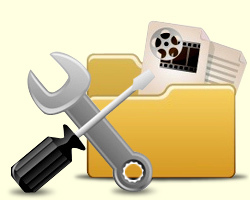 File restore program provides inbuilt disk scanning technique to retrieve deleted data from partitioned hard drive. Digital Camera Data Recovery software retrieves lost photos, and other camera raw files from professional camera, Novelty camera, video camera and other type of digital camera. Digicam file restore program restores deleted data from all major brands of digital camera. Digital pictures recovery software empowers you to recover deleted photos and images from different type of data storage media like hard drive, SD card, USB digital media, flash drive, MMC card, SDHC card and other data storage devices of all capacity. Memory card data recovery software allows you to retrieve deleted photos, pictures, mp3/mp4 files, folders, audios, videos, songs and other crucial data all type of memory card (SD card, MMC card, SDHC card, CF card, xD picture card etc) and recovery of even corrupted pictures. Removable media data recovery software recovers deleted data from pen drive, thumb drive, flash drive, multimedia devices and other type of USB digital storage drives without any data loss. USB flash drive program retrieves lost data in all data loss conditions. Pen drive data recovery software is developed to recover deleted data from flash drive, key drive, thumb drive and other USB drive. Our USB drive recovery program retrieves lost digital photos, pictures, official documents, project files, folders and other crucial data from pen drive.